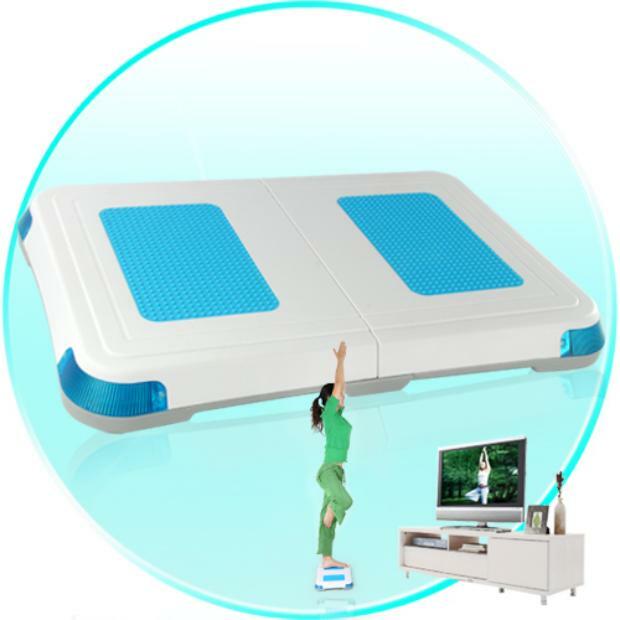 Looking for a Wii Balance Board but don’t want to have to buy Wii Fit just to get one? Well you, my friend, are in luck. While haphazardly stumbling around Chinavasion.com, I happened upon this knockoff Balance Board that looks an awful lot like the regular Balance Board except that this one has handsome blue non-slip grip pads and thoughtful blue corners. It’s priced at $68 versus the actual Wii Fit bundle at $90, so if you want to be able to use the Balance Board without all the hassle of losing weight that Wii Fit would provide and you don’t mind using a knockoff that may or may not be legal, have at it!